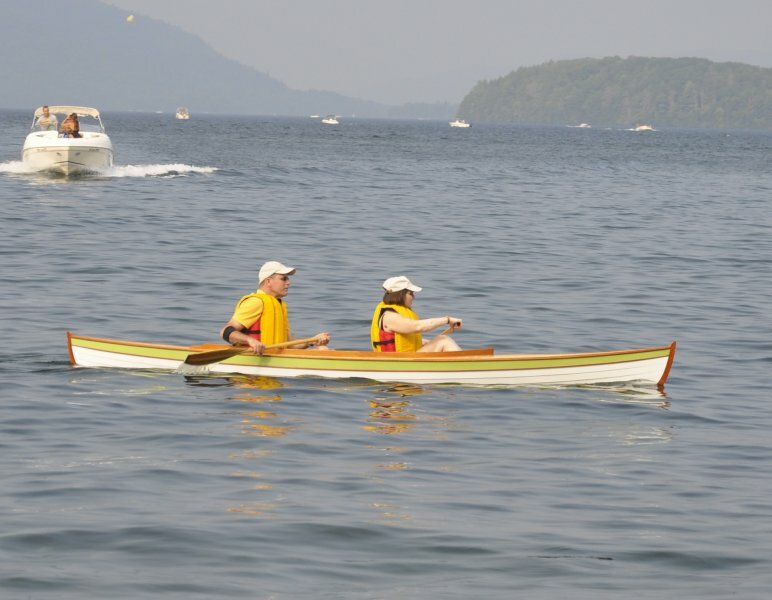 Erick and Ann Singleman took the plans for Iain Oughtred’s Wee Rob Double-Paddle Canoe and modified them so the two of them could paddle it together. 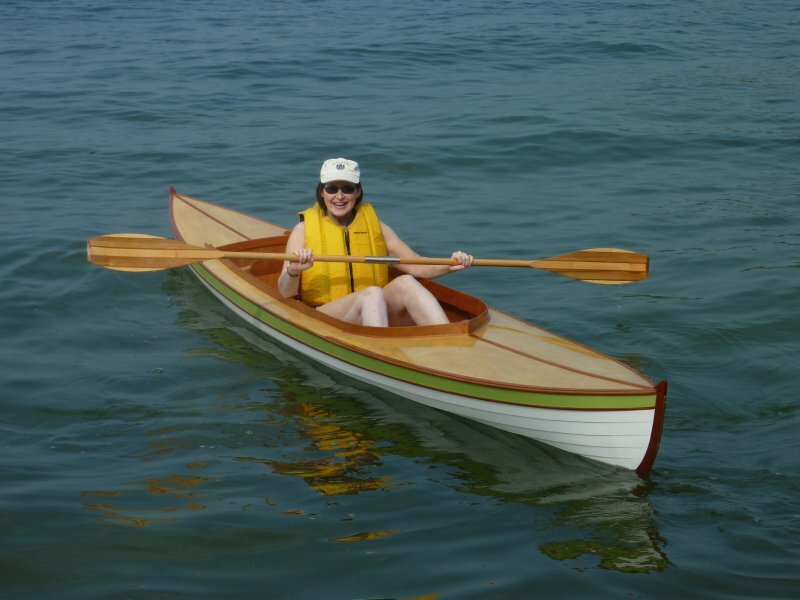 They added a second seatback, raised the coaming, and made the placement of the seats adjustable for 1 or 2 paddlers. DOUBLE WHISK’s hull is 4mm okoume plywood. Her deck is bleached okoume so it contrasts well with the mahogany trim. The paddles are made of white pine, red cedar, and butternut. The Singlemans will paddle DOUBLE WHISK in the Hudson River and the still waters of New York and New England.